In the Shadow of Young Girls in Flower. The Delhi Walla has seen the cover. And it’s utterly beautiful. 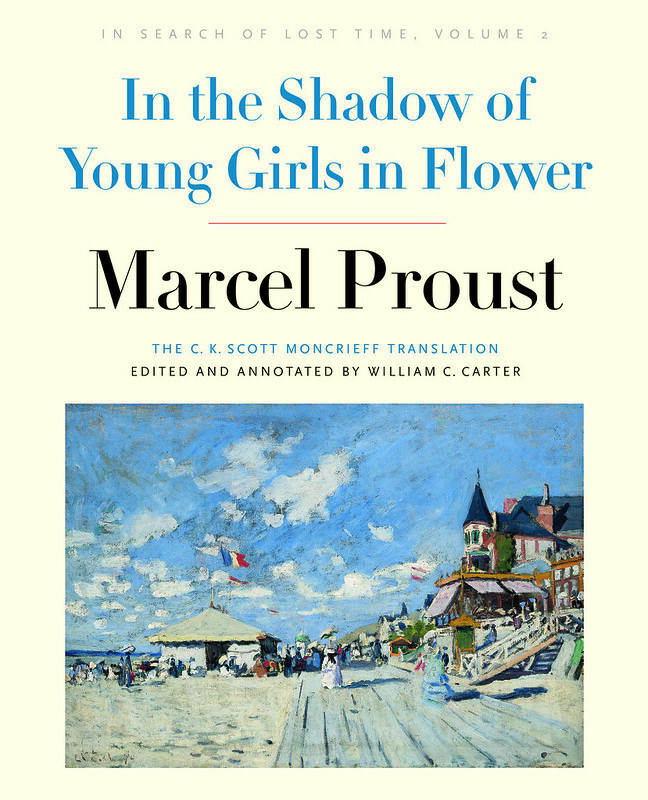 I’m talking of the much-awaited annotated English translation of the second volume of À la recherche du temps perdu—that great novel by Paris writer Marcel Proust that completely changes the life of anybody who dares to read all its seven volumes. In the Shadow of Young Girls in Flower will come out in October 2015. It follows the excellently annotated Swann’s Way, the first volume of Recherche. We English-language readers, of course, know the French page-turner by either of its two titles—In Search of Lost Time or Remembrance of Things Past. In the Shadow… is part of an ambitious project to edit and annotate all the volumes of the classic C.K Scott Monceriff translation of the Lost Time. This dream job belongs to William C Carter. The English-speaking world’s greatest living Proustian, Mr Carter is the Distinguished Professor of French Emeritus at the University of Alabama at Birmingham, the US. 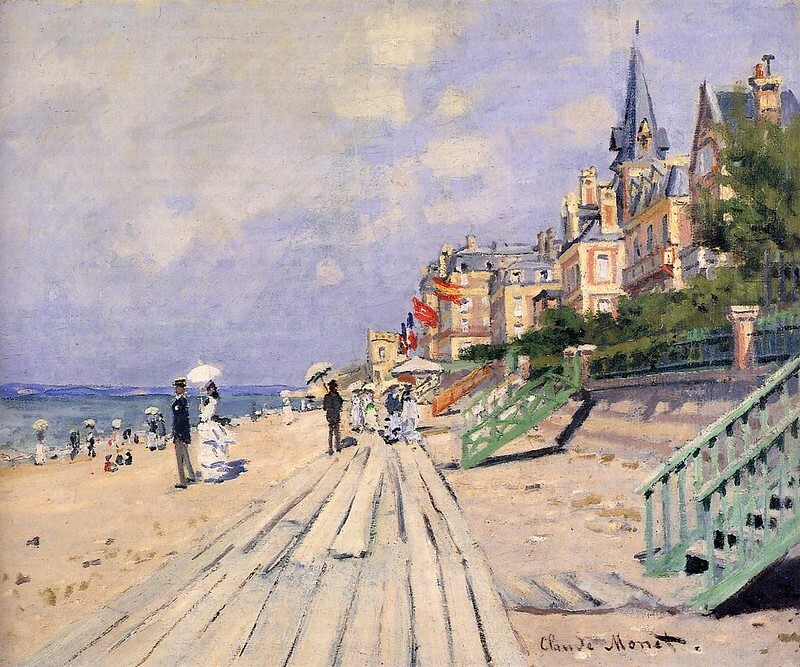 Now, the second volume shows the famous beach paining by Claude Monet. 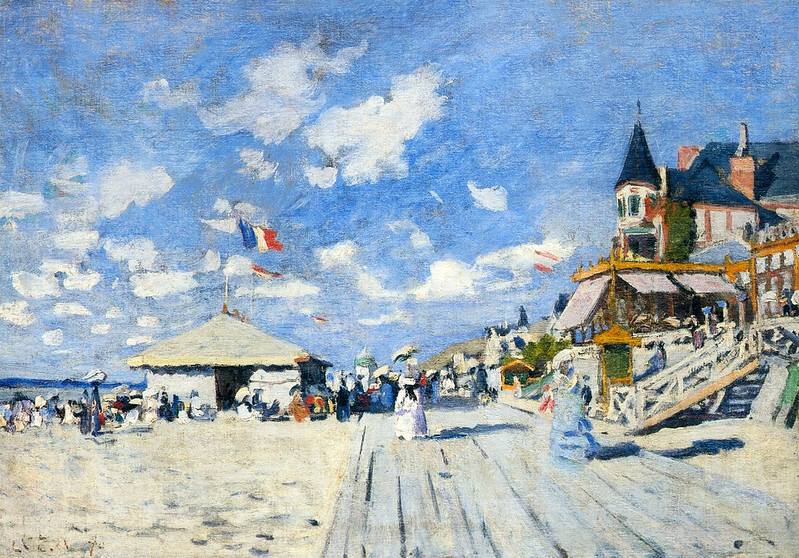 ‘The Boardwalk On The Beach At Trouville’ was painted by the impressionist painter while he was honeymooning in a Normandy resort, in the northwest of France, in 1870. Charlus? Don’t get me started on him!